Australia, officially the Commonwealth of Australia, is a country comprising the mainland of the Australian continent, the island of Tasmania, and numerous smaller islands. It is the world's sixth-largest country by total area. Canbera is capital of Australia. It has six States and two territories. Australia has maintained a stable liberal democratic political system that functions as a federal parliamentary democracy and constitutional monarchy. The federation comprises six states and several territories. Australia is a developed country and one of the wealthiest in the world, with the world's12th-largest economy. In 2012 Australia had the world's fifth-highest per capita income. Australia ranks highly in many international comparisons of national performance, such as quality of life, health, education, economic freedom, and the protection of civil liberties and political rights. Australian universities are widely recognised for excellence in many disciplines. Institutions deliver practical and career-orientated training so graduates can be confident they have the skills demanded by employers. The Australian approach to vocational and technical education is now recognised as among the best and most innovative in the world. It has played an important role in Australia's economic performance, by greatly increasing the skill of workers and contributing to improved productivity. Australian school students score highly in international competitions, such as the OECD PISA reading, scientific and mathematical literary scales and outperform other English speaking countries in the key areas of science and mathematics. Australian education and training institutions are leading the world in the development of technology-based learning. For example our English language colleges have video and library facilities, computer-assisted learning facilities and language laboratories for teaching English. Australia's reputation as an innovative and research-intensive culture is attracting many international students. Academic staff in Australian education institutions are recruited from around the world and often are leading industry experts in their field. Australian teachers are experienced in supervising students from many countries. Each year student and staff exchange programs are forged from Australia's international links with esteemed education institutions in the USA, UK, Canada, Europe and Asia. Australian qualifications are recognised by employers and leading educational institutions in many countries around the world. An Australian Government organisation called the National Office of Overseas Skills Recognition (NOOSR) assists Australian institutions to recognise qualifications from overseas. NOOSR also works to promote the recognition of Australian qualifications internationally. Most courses and training undertaken by international students in Australia on a student visa are covered by the Australian Qualifications Framework (AQF). The AQF is a national system of learning pathways which is endorsed by the Australian Government and recognised throughout Australia and by other countries. On completion of an AQF qualification international students can progress to the next AQF level anywhere in Australia as long as they satisfy student visa requirements. The AQF simplifies international comparison and recognition. You will be assured of a valued and widely recognised qualification. Australia is a safe country compared to almost anywhere in the world. Crime and political unrest are limited in Australia. Australia has low crime rates and strict gun control laws providing a safe environment. Your study plans and progress are not likely to be upset by political turmoil. People from about 200 countries have migrated to Australia, making Australia one of the most culturally diverse countries in the world. The multicultural nature of Australian society means international students are readily accepted by other students, and teachers are experienced in teaching classes to students from many countries. Australians value the wealth of cultural diversity and social sophistication that international students bring to our campuses and our communities. We take great care in looking after international students and helping them to adjust to the Australian way of life. Australians are open, friendly people and you will find a warm welcome in Australia. Many students living in homestay situations experience Australian family life in a natural, friendly way and often find they are treated like a family member. Wherever you live - homestay, boarding school or campus accommodation - you will discover many opportunities to make lasting friendships. Australia also offers excellent value for money, with living expenses and tuition costs in Australia considerably less expensive than the United Kingdom (UK) and the United States of America (USA), and a standard of living that is amongst the highest in the world. English opens doors to more study options and international career choices. Australia leads the way in English language training. Students from around the world come to Australia each year to enjoy the challenge of learning English in an English speaking country – for study, work, travel or personal reasons. Australia’s flexible English language institutions cater for everyone from beginner to advanced to teacher training. Australia has the English course to suit your needs. Classes can be formal for academic studies or more relaxed to on a specific interest. English language training can even take place as part of a holiday. Whatever you choose, you have the flexibility to enrol at virtually any time of the year. Be assured of quality. In Australia, English language training is closely regulated to ensure the highest standards are maintained. There are standards for class sizes, professional teacher qualifications, curriculum, teaching methods and materials. You will have access to excellent facilities. English language institutions across Australia offer modern language laboratories, university-qualified instructors, video and library facilities and computer-assisted learning facilities. Gain recognition. When you complete your English language studies, you can sit for one of the major internationally recognised tests including the Cambridge test, Test of English as a Foreign Language (TOEFL) and the International English Language Testing System (IELTS). Australian institutions prefer the IELTS test which is also a requirement for many student visas. Learning English in Australia will open the door to a successful career. Explore the limitless opportunities that Australia offers. International students in Australia and their parents enjoy a level of service and financial protection that is unrivalled. Australia is firmly committed to providing quality education and training and offers strong assurances to international students. Australia takes its responsibility towards international students so seriously that the regulations for providing education services to these students are set in legislation. Institutions must be registered with the Australian Government and meet special registration conditions enabling them to deliver courses to international students in Australia. Both public and private institutions must meet high standards of quality and ethical practice which take into account such issues as curriculum, qualifications of teaching staff, and facilities including specialist equipment. Australia’s national quality assurance system is unique in both its structure and its rigour. It is a combination of government regulation and industry self-regulation. Each sector has its own comprehensive quality assurance mechanisms. For example, the Australian Universities Quality Agency (AUQA) and the Australian Quality Training Framework 2007 (AQTF 2007) have been set up by the Government to strengthen the quality assurance processes in education and training in Australia. 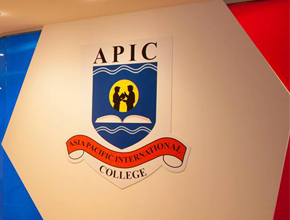 Where an Australian university offers courses at an offshore campus or through an agent, the institution is expected to maintain standards at least equivalent to those provided in Australia and carry full responsibility for all aspects of delivery. Australia experiences temperate weather for most of the year but the climate can vary due to the size of continent. The northern states typically experience warm weather much of the time, with the southern states experiencing cooler winters. Like all countries in the southern hemisphere, Australia's seasons are opposite to those in the northern hemisphere. December to February is summer; March to May is autumn; June to August is winter; and September to November is spring. 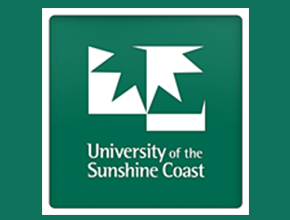 Undergraduate courses require an Australian Senior School Certificate of Education (Year 12) or the overseas equivalent of Australian high school matriculation, such as three passes at GCE A Levels in appropriate subjects. Some courses may also have certain pre-requisite subjects. Entry to postgraduate courses requires satisfactory completion of a first degree at undergraduate level. Demonstrated research ability or relevant work experience may also be taken into consideration. Usually there are no other entrance exams to VET institutions. However some courses may have certain pre-requisite subjects or demonstrated work experience. Entry requirements can vary between schools throughout Australia. Academic performance and ability is taken into consideration during the selection process. Some schools are more selective in their student intake and place higher emphasis on academic or sporting excellence. School enrolments may be limited simply because the availability of spaces is at a premium. Australia provides the world’s most rigorous protection for international students through the Education Services for Overseas Students (ESOS) Act 2000. This legislation requires institutions that provide education to international students to meet nationally consistent standards in education delivery, facilities and services. 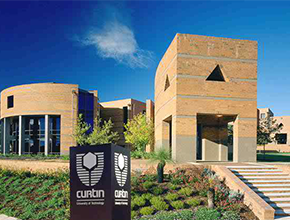 It ensures consistency with the standard of education delivered to Australian students. Tuition and financial assurance for international students is also provided under the Act, so that if an institution is not able to meet its commitments, the student will receive alternative tuition or a refund. It ensures a nationally consistent approach to provider registration and enables the Australian Government to monitor education providers. Breaches of the Act are treated very seriously and the penalties can be significant. Every provider that seeks to recruit, enrol or teach overseas students, or to advertise their ability to do so, must be registered on the Commonwealth Register of Institutions and Courses for Overseas Students (CRICOS). CRICOS lists all providers registered to offer courses to people studying in Australia on student visas and the courses offered. Australian Government legislation includes the National Code of Practice for Registration Authorities and Providers of Education and Training to Overseas Students 2007 (the National Code 2007), which is nationally consistent and legally enforceable. All providers who are registered on CRICOS must abide by the National Code. Many institutions also are members of professional bodies or councils that have their own codes of conduct. These codes of conduct set out standards for academic and support services for international students, including procedures for dispute resolution. International students are charged up-front tuition fees in Australia. These fees are very affordable and are consistently less expensive than the UK or USA. Some Institutions make an additional charge to cover other student costs. These may include student organisation membership, library and laboratory costs and sports facility costs. You may also have to pay a specific charge for excursions, books, stationery and other essential material for some courses. These costs will vary depending on the course or institution therefore average costs are provided below and should only be used as a guide. All school tuition fees are exempt from Australia's Goods and Services Tax (GST). Institutions will advise you how to pay and when to pay your tuition fees. can apply for permission to work. Students wanting to study in Australia can apply for a student visa after they have received a letter of offer or electronic confirmation of enrolment (eCoE) in relation to one or more full-time courses of study. However, it is recommended that you do not enrol in your course or obtain an electronic Confirmation of Enrolment (eCoE) until you have been advised to do so by your local Australian Government office. Studying in Australia gives you a competitive edge. The combination of a recognised qualification and access to the latest technology and research excellence will open doors to many opportunities. You will gain skills to launch your career and set you apart in the eyes of employers. Graduates from Australian higher education institutions enjoy a wide range of career options. They gain entry to traditional careers in business and finance, law and management, as well as emerging careers in information technology, sport and recreation, environmental and land management, hospitality and tourism and many more. Many Australian universities and higher education institutions offer returning home seminars for international students which prepare graduates to re-enter their home country and give advice on finding a job. There are a number of recruitment companies in Australia and around the world that offer careers counselling and link graduates with prospective employers. Many large corporations run their own graduate recruitment service and value graduates with international experience such as an Australian qualification. Australian qualifications are well recognised and respected around the world. Government offices have been very active in developing Memoranda of Understanding and qualifications recognition between Australia and other countries. They can also advise you where to find information about employment and further study opportunities in Australia and in your country where your Australian qualifications will be highly regarded. The Australian Government skilled migration program targets young people who have skills, an education and outstanding abilities that will contribute to the Australian economy. International students with Australian qualifications account for about half the people assessed under the skilled migrant program. Points are awarded to applicants with Australian qualifications. 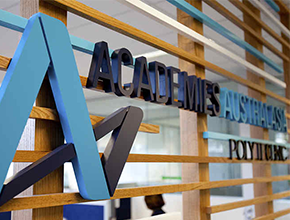 Academies Australasia Polytechnic offers Undergraduate and postgraduate programs, Located in Melbourne and Sydney. Study in the “Harbour City” surrounded by the stunning natural backdrop of this iconic city. 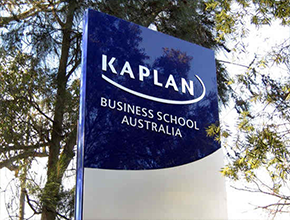 Kaplan Business School is a part of Kaplan Inc., a leading international provider of educational and careers services helping students unlock their talent. 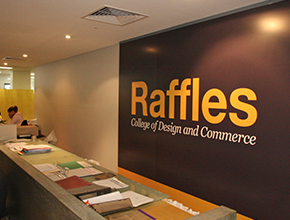 Raffles College of Design and Commerce is a unique education provider based in Sydney, Australia specialising in design, visual communication and business. 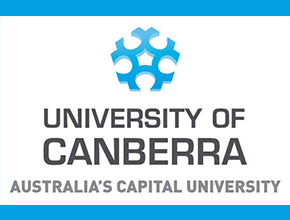 The University of Canberra is located in Brisbane, Sydney, Melbourne and Canberra. University offers wide range of Postgraduate and undergraduate programs.